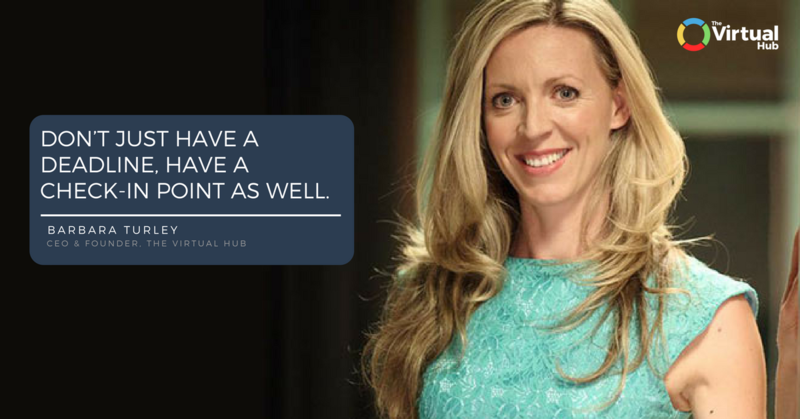 Barbara Turley, CEO and founder of the Virtual Hub rejoins Derek podcast for another insightful reflection on how outsourcing can enhance or bring value to any business around the globe. The Virtual Hub recruits and trains virtual assistants for entrepreneurs who are looking for the right VA who can perform delegable tasks to allow these entrepreneurs to focus more on growing their business. Barbara found out that there are issues with work from home VAs, and it was then hard for her to scale up when she hit 50 work from home VAs in Manila. She realized that she can only get optimization and scalability when people are in one office where there is organizational learning within a defined structure. She now managed a team of VAs from two offices, Manila-based, and a Cebu-based team but she’s more focused in Cebu herself as traffic and weather is less bad and the w. She’s also very successful with her rapid growing Cebu based talents. A few of her VAs still work from home. They are those who are very disciplined and quite structured, but she had to literally go through about 500 people to get her qualified 30 work from home VAs. According to her, it’s like kissing a lot of frogs before finding the prince. Clients can directly hire VAs through different platforms, but this may cause them a lot of pain as they are not shielded from localized issues and inefficiencies that go with improper screening, lack of training and other engagement issues. There are so much time and work involved in hiring the best-fit candidate. The Virtual Hub offers three levels of VAs, the admin level VA, the social media and content creators VA, and the highly specialized and technical VA. Clients are not locked into a contract for the reason that they wanted them to stay because they are happy with the benefits they get from the engagement. An online virtual assistant will help owners and entrepreneurs focus on growing the business by delegating niche tasks or functions to VAs. 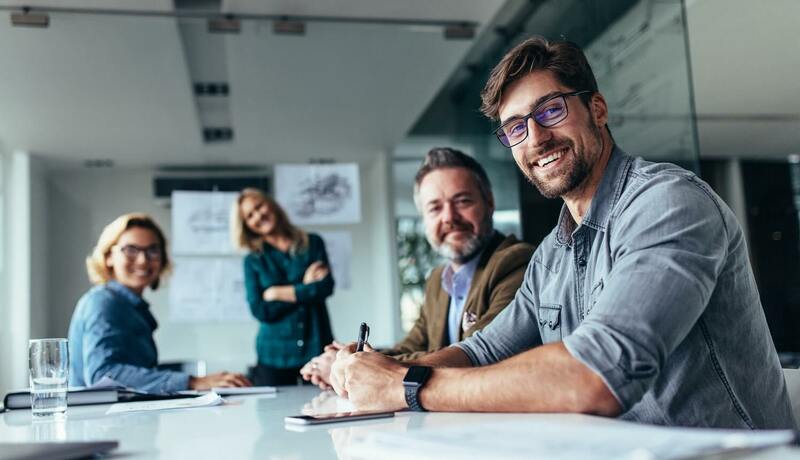 Outsourcing to find the right VA who is the best fit for the tasks to be done will save companies the pain and hassle involved in the engagement and onboarding process. SMEs or niche businesses will really find great value in hiring a VA to save cost and scale up on organizational efficiency. Hi, and welcome to another episode of the Outsource Accelerator Podcast. My name is Derek Gallimore, and this is Episode No. 208. So, today I have Barbara Turley back of The Virtual Hub. She is the CEO and founder of this business which specializes in VAs specifically in kind of media digital management VAs. So, a pretty technical vertical here. We previously interviewed Barbara in Episode 203. So, if you want more of the backstory and more background on outsourcing generally, then go and listen to that one. But in this episode, I got her back, so we can deep dive into The Virtual Hub but actually talk again more broadly about outsourcing and how it can be implemented in the business. I think there’s a lot of valuable lessons there. I certainly have learned a lot and enjoyed the conversation. So, I’m sure you will enjoy. If you want any of the show notes or any details on anything we discuss, go to outsourceaccelerator.com/208. Enjoy! Hi, and welcome back everybody. Again, I am super excited to be joined by Barbara Turley of The Virtual Hub. Hi, Barbara, how are you? Barbara: Hi, Derek. Great to be back. Thank you. Derek: Yes. It’s exciting to have you back. We previously spoke to you and kind of looked at your background and what led you to being the CEO and founder of The Virtual Hub and now I want to get you back to deep dive into The Virtual Hub itself. Now again, I sort of telling around the audience, this is not an infomercial, we are not sort of monetizing anyway, but I found it really interesting and valuable for people to kind of look into this BPOs and see the value that is offered here and also the value that can then be brought to your business, and how it enhance your business. So, thank you so much for joining us. And I supposed Barbara, initially for people who haven’t listened to our prior podcast, can you just give us a brief background as to how you found yourself here? Barbara: Yes, sure. I actually call The Virtual Hub my accidental business because I had no background in outsourcing, HR or even the Philippines. I actually started my career in the investment banking industry. I was there for about 15 years. And got involved in a couple of start-up interesting opportunities through my career there. I learned a lot about building scalable businesses I guess. Once I left corporate, I was doing some consulting for smaller businesses and realized that they were so stuck because they just had no time. Because they were doing everything themselves like many businesses are. But they were in that problem where they didn’t have money to hire someone locally either, so they just couldn’t get out of the trenches. So, I have a VA in the Philippines myself. I started recruiting to help them out. It wasn’t even like a business plan or anything before I knew it, like four years later, here we are I got a hundred staff in the Philippines and The Virtual Hub is a fully pledged entity, shall we say. Derek: That’s huge. So, you started four years ago, is that right? Derek: Fantastic. First, just for some geography, and again I’m not to kind of cover this with the audience as well, but there are probably maybe as many as four, five major BPO centers in the Philippines Certainly, Manila is one of the major one, but then Cebu is like the secondary city of the Philippines. That’s where you are base. And how do you find the benefits of Cebu outsourcing versus Manila? Barbara: Yes, that’s an interesting one actually, because I actually have both bases, I have a Manila base and the Cebu base. But the focus right now is on the Cebu base because a lot of the, as you know, I mean Manila, the traffic, the weather, all these issues that go on locally, most people wanted to work at home. But I rapidly found, and it is an interesting point for people running businesses and also trying to understand how these kinds of businesses are run. What I found was when I hit 50 people in Manila, I couldn’t grow. The problems were endless with this work from home thing and anyone listening who’s had to work from home might be nodding their head, but I just found, I realized pretty quickly that I couldn’t scale that. So, I still had a lot of work from home people in Manila, but that’s kind of, we sort of grandfathered those out on their own. And then we went to Cebu because the traffic is less bad. Wellbeing is a bit better I think because of that and the weather is not as bad. And we’ve been very successful down there. We’ve got, we’re currently at 50, we’ve got a 50 seat capacity down there and we’re at 75 people there. So, it’s growing pretty fast in there. I originally thought the talent pool might not be as good, but actually they’ve proven me wrong down there. I’ve actually been very successful with just enthusiastic, lovely people who get the job done. I have to be honest with you. So, it’s been a good strategy for us and it’s a lovely place to visit. Derek: Yeah. I actually been down there once and stayed in a resort. I really didn’t get to know the city too well, but I have really good things about the talent pool down there. There’s a lot of well educated, there’s good universities, really well educated people. They speak really good English. So, it’s suddenly there’s a lot of opportunities outside of Manila for very successful outsourcing relationships, I think. Barbara: I actually would give you one tip, actually, though I just thought of on the Manila-Cebu thing. Something that I have experienced. The only complexity you sort of come across is if you have a Manila team that are then running like a management team in Manila running Cebu. They’re like, I don’t know, the Aussies will get this, but there’s like the Sydney Melbourne fight between who’s better. So that can happen between Manila and Cebu as well, where they feel like the Manila people think that they’re better than them and all that sort of political stuff can happen. So that’s just one tip you might want to either focus it all on Cebu or focus it all on Manila. Derek: …having good infrastructure. And again, it’s just that professionalization of services. Barbara: Yeah, it sets a boundary. I mean, I think, look with the work from home people. I mean I was very, I was successful at it because I always say to people what you want to do is create flexibility but within a structure. So, the worst thing I see people doing is saying, “Oh, my VA’s great. And like I just said to her, ‘I don’t mind when you do the work, like you do whenever you feel like it’.” What’s going to happen then? Is the work’s going to be done at 3:00 in the morning when somebody trying to breastfeed a baby. And then the work will flip, and mistakes happen because it’s human nature, structure is not, it’s only some people who are going to be naturally structured and they’re going to sit down for a work day. So, you’ve got to try to put a structure in place and I did that quite well. So, the people that we have left that work from home are quite structured people that works for. But I literally had to go through about 500 people to get the 30 that I currently have working from home, you know what mean. Like it’s just extraordinarily difficult. So yes, if you are going to go to work from home saying it’s okay for your first few VA’s, but I wouldn’t be too flexible through that way. Derek: And again, this reflects on your operation that people, whatever invested when they become a client because you’ve turned through those 500 people to find the best 30 and [crosstalk 00:08:51] your organizational learnings that again, people can really just jump in and benefit from day one. Barbara: People don’t realize that as well. And just, you were talking about the inner workings of these companies. What I find quite frustrating is when a client, it doesn’t happen very often, but the odd client has challenged me would be the word I would say around, “my VA’s great” and they think that just because we got them a great VA and they think it’s all down to them. So, it’s very important for people to understand that the industry that we’re in, in the Philippines is fraught with risk. It’s fraught with complexity. It’s people, like you’re managing people. And we put on, we sort of create the veneer, the front so that the client doesn’t have to see all that mess in the background. But trust me, it can be quite a challenge to get that beautiful front window thing that we get the best ones and put them out in front, and that’s the game that we’re in. That’s what our job is, to make it look easy. But it’s certainly not. Barbara: Oh, yeah. And you know the family thing in the Philippines. They have families at home that are putting pressure on them. They might be like; one person can be supporting a family of seven people all living together at home. So, there’s those localized issues as well that we sort of shield the client from dealing with any of those issues that are coming up because we have internal people on the ground that helped to navigate those kinds of problems for clients so that they don’t have to deal with that. Barbara: Yeah, you’ve got to look through a lot. Like you’ve got to kiss a lot of frogs before you’re going to find your prince through that way from those big platforms. If you’re willing to put the work in, like I always say to clients, “Of course you can go direct. Absolutely. You can go direct, and you can do really well, but don’t underestimate the amount of work involved in finding the home run. If you have the time to do it, off you go.” That’s painful. Barbara: Oh, no. They’re working for you and they’re working for someone else in your time. That’s why the work is, you know the whole, this will resonate with people. When your VA goes, “Oh, I’m so sorry I forgot to save it.” Yes, that’s crap. They didn’t do the work yet. They were working for someone else. So, when you get all these stories fielding through. You know, these stories out there are endless. Barbara: Oh, my God with the work from home thing. I call it the “slippery behavior”. You feel like it’s all slippery. Then it is. Trust me. There’s no doubt that this slippery stuff going on. Derek: So again, this is sort of gives an indication of your vast experience in this and you must have gone, as you’ve said, through hundreds of VA’s and people in posts and again, when people engage with The Virtual Hub, this is part of what they buy into all these past experiences. So, and you were saying as well that defining VA is actually quite difficult because that’s virtual assistant, which is a little bit kind of wishy washy, but I supposed popularized by Tim Ferriss. And what would you, your specialized niche is in quite the technical sector. Derek: And so how do, because it becomes quite operational really, doesn’t it? There’s sort of a blur between then actually just kind of operational staff that are, that are kind of working on your business. But how do people engage with you and how do you position these different roles? Because I think as well, what stopping a lot of people from getting into outsourcing is there’s a lot of unknowns and there’s just sort of a bit of general ambiguity about the whole thing. How do you kind of package and present outsourcing so it’s a little bit simpler for everyone? Barbara: Well, where would I start with that? So, I think there’s a lot of trust. So, there’s two things I wanted to sort of just popped into my head as you were speaking there. So, on the fear thing and then not knowing where to start and who to trust and all that sort of thing. If you’re in that position, now there’s a lot of, unfortunately there’s still a lot of shanky operators out, so you kind of have to find someone you trust, right? But it is a good idea in that situation to interview a couple of agencies like ours for example, and talk about how we as a company help you to get through those fears, right? So, we have a lot of, I mean, I have a corporate background, so like we’re going through GDPR Compliance at the moment with a consultant in Ireland. So that’s all of that area of dealing with the fears. And the other side though is I think some people come in with the wrong mindset and that is something that we can’t help with. I’ll be honest with you. If somebody is coming in with a natural bias in their head that this won’t work for my business, but I’m going to try it because everyone tells me to do it. You’re probably going to fail no matter what I do for you because you got to work with that mindset first. So that’s a huge issue. I see in the market. People kind of have a, they just assume it’s not going to work, very hard to get over that one. Derek: …dealing with people in the Philippines. Barbara: …here’s the thing on that point. Entrepreneurs, the very successful entrepreneurs are successful because they are entrepreneurial. The problem was being very entrepreneurial is that you’re usually terrible at operations. You’re great at vision, you’re great at driving things forward and coming up with the big idea and sales and marketing and all that stuff. You’re probably terrible at operations. You’re not a COO type because that’s actually a totally different skillset. And when it comes to sourcing and building teams, that’s the skillset that is required to have massive success with building teams. So, for the entrepreneurs listening that this is resonating with, I would recommend that if you recognize that as a problem, it might be worth thinking about getting an online business manager or and you can get those reasonably cheaply online to be honest, or someone who’s going to be the operational to develop out your processes and manage that team of people, whether they’re in the Philippines or in your office locally. If you’re very entrepreneurial, you probably not good at that. So, I’ve been successful because I’m actually, my bent is more that I’m very good operationally and I think that’s why I’ve been very successful at this. Barbara: But you won’t scale because the problem is you’ll come up with a fabulous business idea and everyone will want it and you’ll sell like hotcakes until you start to scale and then you will fall over because you can’t scale something that isn’t operationally sound. You need to structure. So, you either need to hire someone. But I think recognizing it is the thing. You go, “Yeah, I’m not great at that. Maybe that’s the person you should hire first”, to build a team for you or whatever, you know? Derek: And there’s opportunity in building teams, isn’t there? And part of the messaging that we give out is when you’re a startup, you should really look at outsourcing first. Set a strong foundation. You can outsource for cheaper. You can build your foundations off with outsourcing instead of having to kind of to flip the model later on. Barbara: Unlearn that craft of that. Like learn from your mistakes early and having a commitment. I always say to people as well, it’s having a commitment to delegation and team building that is unwavering. That doesn’t matter what problem comes up and faces you, you’re like, I am going to make this thing work because I need a team and I need to scale. So like learning that mastering that first can be really effective. Barbara: Wait, look, I’m someone who likes to keep things very simple. So, the model is like this. First of all, we’re not for everyone. So, we are quite specific about who we work with. We did tend to work with businesses globally that have an online presence and either have a fairly developed online strategy already or have a strategist or themselves that’s working on rolling out whatever their channels are. And they might have a membership site that might be doing product launches, webinars, all that sort of stuff. So, we’re playing very much in that space. We only do dedicated stuff, so we’re only interested in working with businesses are seeing this as a longer term play. They want to literally bring someone in and make that person feel and look like an employee in their business even though they’re an employee of ours locally. But we encourage our clients to fully bring the person into the vision and into the team, like their own employee. So, we’re very specific about that. We do offer part time or full time. A lot of our sort of competitors only do full time staff, but we offer part time because we know we’re quite niche, so part time is 20 hours a week minimum. And we offer three levels of VA. So, our level one VA’s are more admin, organizational, that sort of admin level, general VA. Our Second level VA’s are ones that are, they can create your social media content calendars for you. They can get your blogs optimized and looking good on your WordPress site, Google friendly, all that sort of thing. So, we play more in that content management type space of level two. And then our level three VA’s are ones that are, we take them through very deep trainings. It takes a long time actually to get these guys, but on platforms like HubSpot, Ontraport, Infusionsoft. The clients that are using these platforms can start to actually get the work done instead of the platform just sitting there and only 10% of the platform being used because nobody has time to tinker with it. So, it’s the tinkering with the tools that those are our level three VA’s. Our pricing is very simple. We have no lock in contracts, 30 days’ notice to cancel. So, there’s no real, there isn’t a lot of risk really involve in coming and engaging with us. The reason we do it that way is because I want people to stay because they’re getting results, not because they’re tied into a contract. It would be painful if somebody wants to leave and they’re stuck for six months. I mean that would just be awful for everyone. So very easy to get in and get out. Three levels of VA. We do multicurrency pricing, but our base currency is US dollars. And we are US $10 per hour for level one VA’s, $12 for level two and, sorry we are sorry we are $8 US for level one, we are $10 US for level two and $12 US for level three, but it is billed monthly in advance and it’s a monthly fee. So, that’s roughly how much it works out per hour. Barbara: Does that answer your question? Derek: Yeah. I know it’s incredible. Barbara: Very structured, very simple. Barbara: Can I be honest with you? People have said to me before, there are models right there where they say, “well our fees this and then will help you to negotiate the salary,” and you know what? All of that is just complicated. Like we deal with all the private health cover in the background, we negotiate the salaries, we deal with salary reviews and KPIs and all that stuff so that the client just does not need to even think about, “Is my VA happy and looked after?” They are. We take care of all of that and it’s better to have one price. The clients just prefer that, that they just have one wrapped in price and they get the whole thing, including our help desks and support teams and all that sort of stuff, and the offices of course. Derek: Yes, because people come to outsourcing for solutions. They don’t want the whole HR headache and complicated contracts. They just want one kind of a turnkey human result solution, yes? Barbara: Exactly, yes. So, it works pretty well for us. Derek: Thank you so much Barbara. It’s really been great insight into what you do. If people want to get in touch with you and learn more about The Virtual Hub, how can they do that? Barbara: Sure. So, we have some great goodies that will really help people who are thinking about this outsourcing thing more deeply, if you go to thevirtualhub.com/outsourceaccelerator, we have a download there which you can just download straight away with The Five Reasons Fail with VAs and how to Fix It. It’s a pretty good little guy to kind of help you sort of get set off properly before you ever start this thing. And we have a seven part ecourse as well, which is The Scalable Business Success Formula. And it’s more about just this whole operational thing on how to get this whole thing set up that you can scale. And you can also book a call with one of our strategy consultants. We have someone in Ireland and someone in Australia, so we cover all time zones, and they can help you to figure out if you are ready, how to get ready, if we are a good fit, all that sort of thing. If you want to connect with me personally, I’m pretty active on LinkedIn, so you can get me at Barbara Turley over there. Derek: Fantastic. Thank you so much, Barbara. Barbara: Thanks for having me. Derek: That was Barbara Turley of The Virtual Hub. If you want to get in touch with Barbara, if you want to know more about anything that we discuss in this podcast then go to the show notes at outsourceaccelerator.com/208. And of course, if you want to ask us anything drop us an email to ask@outsourceaccelerator.com See you next time.